Kids who are in the throws of a meltdown aren’t acting out because they didn’t get something they want. Instead, they are physically and/or emotionally overwhelmed and incapacitated by something. Today I’m welcoming Angela from Parents with Confidence to share her tips on how to stay calm during your child’s meltdown for my series Voices of Special Needs. If you are the parent of a child with sensory processing difficulties you know how extremely draining and frustrating it is to observe a sensory meltdown. I can honestly say dealing with sensory meltdowns is one of the most stressful things I’ve ever experienced (and that’s sayin’ something people – trust me). If you’ve done your research and are familiar with Sensory Processing Disorder you know that meltdown’s are not behavioral. That is – they are not a means to an end for the child, despite the fact that they are often misinterpreted as such. 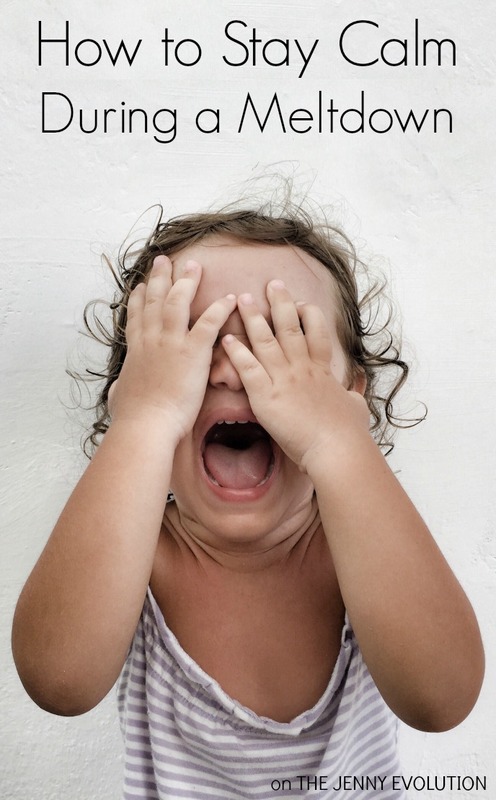 Sensory meltdowns are completely out of the child’s control and are a result of a very overwhelmed nervous system. When our children have difficultly modulating sensory input, their sympathetic nervous system is triggered and sets of a ‘fight or fight’ response. When your child is in fight or flight there is nothing you can do for them aside from containing them to a safe environment and STAYING CALM. The importance of staying calm can’t be reiterated enough. During a sensory meltdown a child feels internally out of control. We need to be the source of control, calm and quiet for them. To say that this is easier said than done is a major understatement. Even when we know these behaviors are unintentional and uncontrollable they are still EXTEMELY FRUSTRATING to deal with. The child is most likely engaging in some combination of screaming, crying, running, flailing, banging, hitting, kicking, biting ect… which may or may not be directed at you. These behaviors illicit a strong response from adults – remaining neutral and calm takes forethought and strategizing. After surviving many meltdowns (just barely) I have narrowed in on these coping techniques, as the ones that have been the most helpful. Remind yourself of the basic premise of sensory meltdowns: your child is in fight or flight and no longer has the ability to use reason or logic. Your child is now operating out of the emotion center of the brain (amygdala) and most likely can not understand you. The best thing you can do is to KEEP THEM SAFE and STAY CALM. You don’t have the ability to control what is happening with your child. The only thing you have the ability to control at this point is yourself. The behaviors your child is engaging in are very frustrating and are going to cause your blood pressure to rise and your frustration level to shorten as a result. Taking repetitive deep breaths is the quickest way to physiologically calm your body down, and decrease the release of stress hormones. Slow calm breaths will allow YOU to continue thinking from the logical part of your brain (pre-frontal cortex) and not from the emotion center of the brain (amygdala) where your child is functioning out of currently. As a parent, it is heartbreaking that there is very little you can do to help your child in their discomfort. It is very apparent how uncomfortable the child is and we’d do anything to help relieve some of their pain. When I find myself staying fully present for an lengthy meltdown, it is inevitable I will get emotional. This usually tends to derail my intended response (to stay calm and quiet) and doesn’t help demonstrate for my child that I am in control. The only full proof way to not get emotionally invested is to ZONE OUT. Check out. Disengage mentally and emotionally. Let your mind go elsewhere (as long as your child is safe and contained) for a while and you’ll be much more likely to remain in control. When all else fails and you feel your tension rising too high- give yourself permission to take a break. If you are lucky your child will be ok with this (in my case my child always wants in her proximity), but they very well may not be. Regardless of their initial reaction, leaving to gather yourself and calm down is a much better alternative than staying and losing your temper verbally or physically. Learning to respond to a sensory meltdown in a helpful and productive way takes effort and practice. Be patient with yourself, and make sure you can unwind in some way afterwards. Don’t forget to give yourself a pat on the back and a thumbs up for working hard to do what’s best for your sensory kiddo. Having a kid with sensory issues is not easy, and you are a great parent. 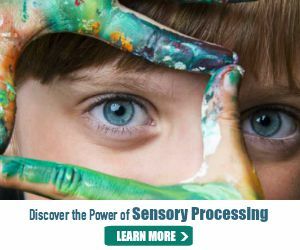 Learn more about Sensory Processing Disorder and parenting tips of something with sensory issues on The Jenny Evolution! And don’t miss out on my one personal trick on how to stay calm during your kiddo’s sensory meltdowns. This post originally appeared on Parents With Confidence. You can read more from Angela there. These tips feel helpful both as someone who has (internal, but still!!!!) sensory meltdowns and who parents high needs kids – thanks! Thanks so much for having me on your fabulous site today Jenny! I am hopeful this will help fellow sensory parents in a highly stressful time. I completely admire all sensory parents because of the difficult situations they battle through each day! Great article, Angela. And I think these tips will be extremely helpful for a lot of folks out there…. with sensory kids and not. My favorite advice comes from Don Miguel Ruiz’s “The Four Agreements,” and he states simply, “Don’t take anything personally.” What he means is, if another person is upset, it actually has nothing to do with you and everything to do with how they perceive the world. 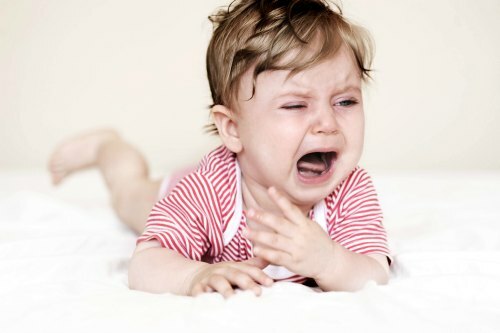 As we know with our sensory kiddos, thei meltdowns are all about their in ability to handle their world in that moment. When we are upset by this, it’s all about our own personal stuff rising up in response; like our fear of being judged by other people if we’re in public, or our feelings of inadequacy popping up as “if I can’t soothe my child, I’m not a good parent.” Our angst in that moment is all about us (I’m doing something wrong, what will they think of me, why can’t I get this right, why did I get the difficult child). When I focus on my son and remember that his meltdown is all about him, I can put my own stuff on a shelf for a while and focus on him and what he needs in that moment (screw the rest of the world). The calmer I’ve been able to stay, the more easily my son could unwind out of his meltdown (they pick up on our angst big time). It’s all a process and with my son now 13, I’m still learning. Seriously…. couldn’t have said it better! Our reactions are just that — ours. And while it can be tough to separate our feelings from our child’s, it’s a terrific way to put a meltdown into perspective. Great advice. In my mind, I have to become an “instant android” and react with calm detachment. 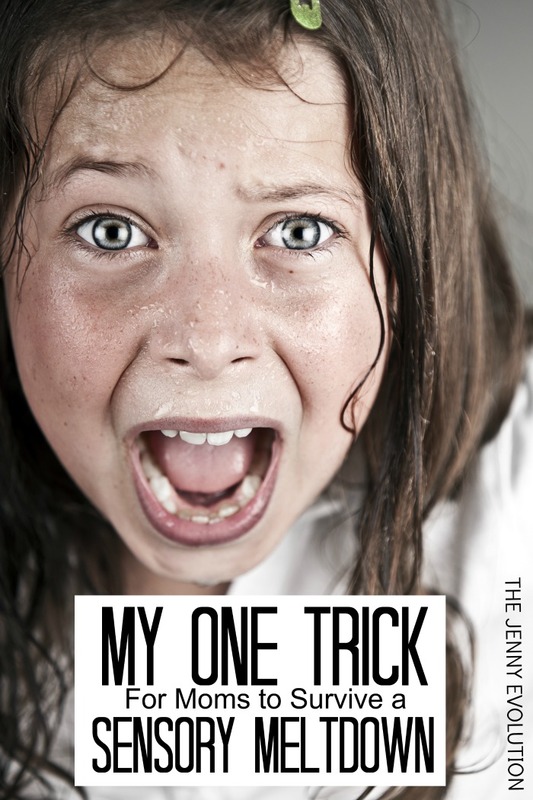 I first learned that trick when my son was an infant. When I was running on fumes and my son started crying at 2 am, I turned off my emotions and dealt with whatever he needed until the crying stopped. The hard part comes as he gets bigger, both from a physical standpoint and a personal one. For example, last night he got frustrated with his computer – actually the Windows laptop his Dad had let him use. Our almost-ten year old Mac-based son had unwittingly downloaded a bunch of viruses on the PC and nearly bricked the computer. In addition to dealing with a gale-force child, we had to save the laptop. We also had to deal with telling him that there would be no more laptop (until he can understand why he can’t download software). “Why” is still hard for him. In addition to processing emotions, processing language/concepts can also contribute to meltdowns. And it can be hard for a grown-up to instantly process that the boy who taught himself Adobe Aftereffects and Greek, can’t remember to avoid EXE programs. Patience and detachment, indeed. I love the term ‘instant android’! Great way to put it and completely agree! My kids haven’t been diagnosed with SPD, but I can see how these tips would help them out. Staying calm is so difficult for me sometimes, but I can definitely tell that it helps when I’m able to manage it. While many families with sensory kids manage meltdowns on a regular basis, I think these tips are great for any parent because all kids have their moments… but we love them anyway! Great tips! I’m a big fan of “the pretzel” deep breathing from the Conscious Discipline training I did as a teacher. I do it now when I’m about to lose it with my kids, and it really does help. Thanks for sharing this on Everything Kids – I think all parents should have tools like this in their emotional toolkit.